Happy Independence Day! It seems like the older I get the more holidays sneak up on me. Generally I feel like I don’t plan for holidays very well and I now have a much greater appreciation for how much parents put into making holidays special. It takes planning and preparation to make holidays special and memorable. Since I seem to forget about them until it is the week of, not many of them are very memorable for me now that I’m an adult! I’m in charge of making them special and I’m not very good at doing so. Combined with Boot City’s general disdain for holidays makes most of them rather mundane. This year’s Fourth of July was a pleasant exception. Not that I put any more effort than usual into planning but two very fun events occurred and I enjoyed both of them greatly! One of my girlfriends’ hubby had purchased a table to see the Fort Worth Symphony’s Concert in the Garden the week of July 4. He got called up by the Marines (he’s a reservist and I’m in awe of his dedication to his calling as a Marine) and had to be out of town so we benefitted and the evening turned into a girls night! How fun! 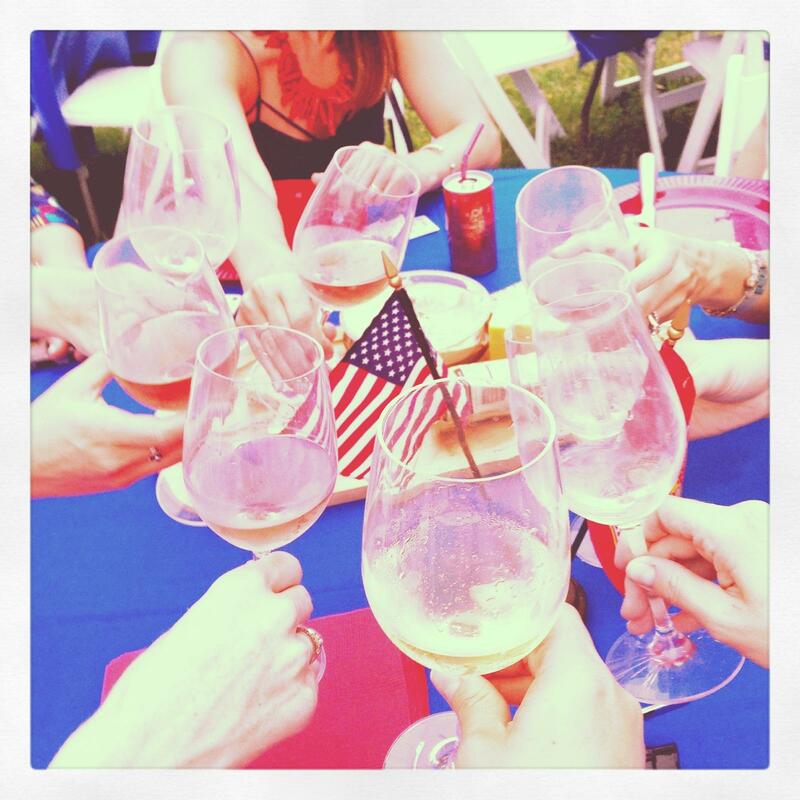 Cheers to great friends, great music and to this great country we call home! Eight of us girls packed up the coolers, loaded into the Suburban and headed to the Botanic Gardens for an absolutely delightful evening. The weather was PERFECT! Unbelievable for July in Texas! Nights out are extra special these days as our schedules have us pulled in a million different ways and we hardly see each other. The Fort Worth Symphony puts on an amazing show. The theme for the night we attended was All American so lots of John Philip Sousa marches and the like. Towards the end of every concert are always a breathtaking show of fireworks. Combined with the All American music there were tears in nearly every eye. God Bless America! 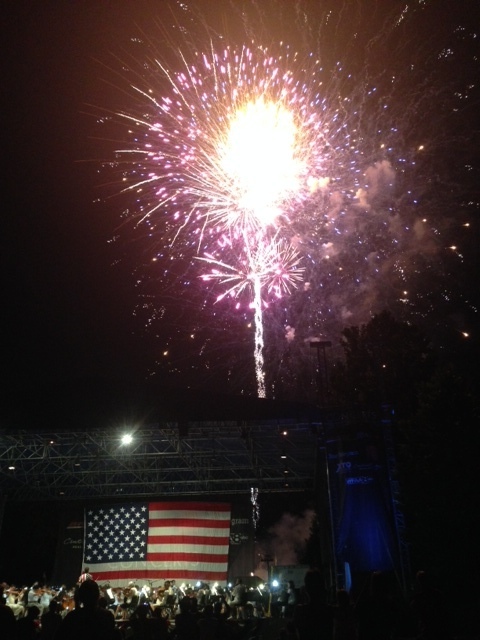 Fireworks at the Fort Worth Symphony’s Concert in the Garden. On the Fourth of July my hunt group got together for a Gymkhana, in American English it is called a Play Day. 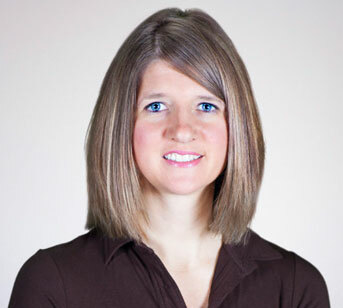 Our hostess is originally from England and it is much more fun to say Gymkhana. We did pole bending, flag races, bucket jumping, jumping stadium jumps and ended with a ride around the cross country course. Jaguar was born for these things. His reining training comes in very handy with the tight turns and quick stops. We did very well in the pole bending, the flag race and the bucket jumping. The bucket jumping is my favorite. They set out a line of buckets, I think we started with 10 or so and then everyone takes a turn jumping the buckets. If your horse knocks over a bucket then you are eliminated. The hard part is that each time everyone goes through and jumps the buckets, one bucket is removed. The winner jumps the fewest number of buckets. 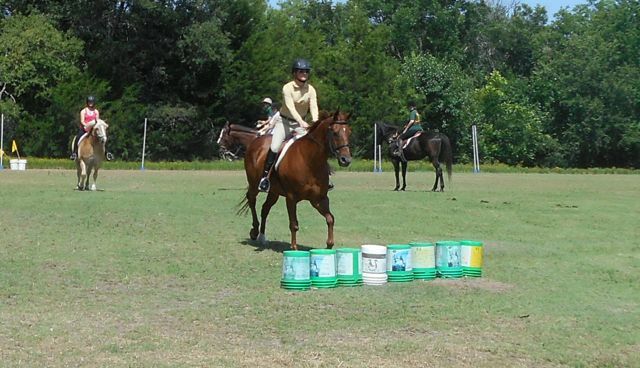 It is VERY difficult to get your horse to jump one or two buckets when all they have to do is take one step left or right and they can avoid the work! We made it down to two buckets, but Jaguar was just too smart to stick it out and jump them. 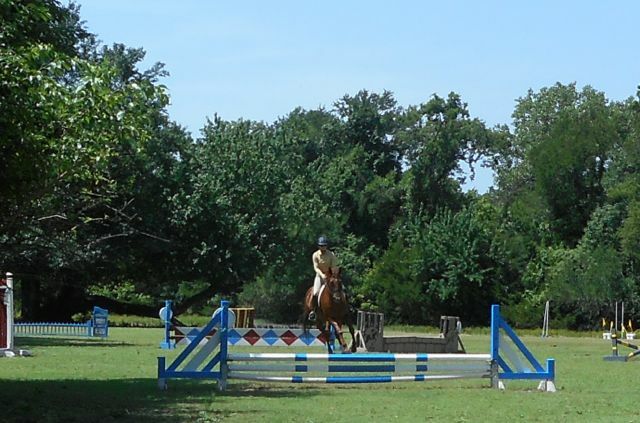 The owner of the property where we rode is a primarily a polo player, but she keeps a very nice course of stadium jumps, too. We made our way around the course a couple times. I can’t quite tell if Jaguar pulls rails because he’s lazy or because he’s not in good enough shape to jump! The lovely stadium course on a beautiful July Fourth. After all our horsey shenanigans we settled down to enjoy a tasty picnic lunch. 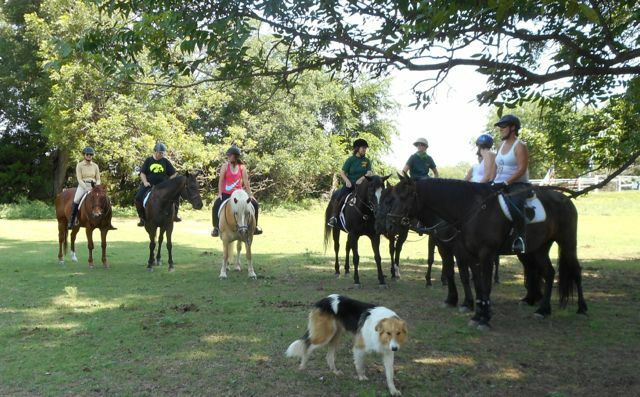 I can’t imagine a better way to spend the Fourth of July than with my horsey family. I hope everyone had a fabulous holiday weekend, too!